On Wednesday, Nov. 8, Rep. Harry Lewis (R-Chester), as well as his staff members Andrea Keenan and Amber Little-Turner, assisted residents at Villages at Hillview with applying for the SEPTA Key Senior Photo ID Card. DOWNINGTOWN — To ensure seniors can ride free on all SEPTA transit services, Rep. Harry Lewis Jr. (R-Chester) is offering people 65 and older the opportunity to get a free SEPTA Key Senior ID card without traveling to Philadelphia. 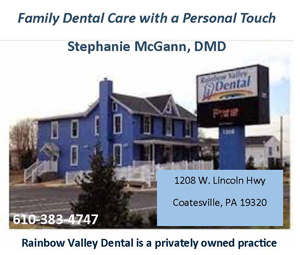 Instead, they can visit his office in Downingtown during normal office hours. 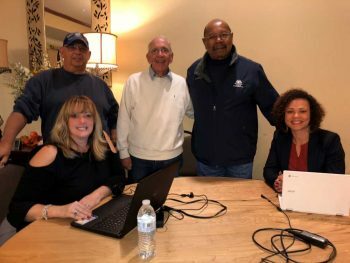 Lewis held an event at the Villages of Hillview on Wednesday, Nov. 8, to help residents with their applications to SEPTA. Because more than 170 applications were submitted that day, Lewis will also be providing the service at his office. “There has been an increased interest to take advantage of this opportunity before SEPTA introduces its new, modern fare payment and collection system, and I want to make sure that all seniors who are interested can enjoy this benefit without driving to Philadelphia,” Lewis said. The Key card enables seniors to ride free on transit services including bus, Market-Frankford Line, Broad Street Line, trolley and the Norristown High Speed Line. Regional Rail fares for seniors will continue to be $1 for rides within the Commonwealth. Residents are encouraged to call Lewis’s office in Downingtown at (610) 269-1289 to schedule an appointment or with questions.